Browse the latest new homes by Skipton Properties nationwide. 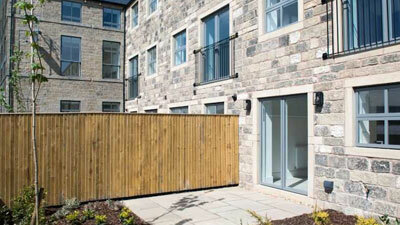 ​Skipton Properties is an award-winning developer founded over 30 years ago. It is a family business, run by a father and his two daughters and looks to give every project a personal touch. To date, it has built homes for over 3,000 families. It creates distinctive homes, building them in a way that weaves them into the surroundings, as well as making them energy efficient and sustainable. The housebuilder takes into consideration the impact it has one the areas in which it is building, and aims to provide developments that enhance communities. It also reduces its carbon footprint by reducing and recycling waste. The company offers the Help to Buy scheme on all of its developments across Yorkshire. It also offers a selection of Starter Homes, which are homes available to first-time buyers with 20% off the market value. Skipton Properties recently had a Community Grants Scheme which helped disadvantaged children and schools, local churches and community centres. Choose a Skipton Properties development in this area.